we speak with Reverend Harry Williams about his new book, Street Cred: A Hood Minister’s Guide To Urban Ministry and examine the effectiveness of the Black church in movement building in the 21st century. Later we speak with Sanyika Bryant, a member with the Malcolm X Grassroots Movement about the push to grant Dr. Mutulu Shakur clemency. 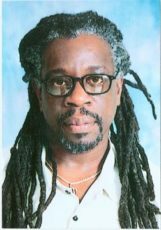 Dr. Mutulu Shakur is a New Afrikan (Black) man whose primary work has been in the area of health. He is a doctor of acupuncture and was a co-founder and director of two institutions devoted to improving health care in the Black community. Mutulu Shakur was born on August 8, 1950, in Baltimore, Maryland as Jeral Wayne Williams. 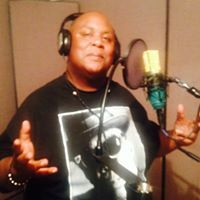 At age seven he moved to Jamaica, Queens, New York City with his mother and younger sister. Shakur’s political and social consciousness began to develop early in his life. His mother suffered not only from being Black and female, but was also blind. These elements constituted Shakur’s first confrontation with the state, while assisting his mother to negotiate through the maze that made up the social service system. Through this experience, Shakur learned that the system did not operate in the interests of Black people and that Black people must control the institutions that affect their lives.